At Essex Conservatories we will come to your property and design your new conservatory on our laptop using the latest CAD design software. Working with you closely means we can give you our expert opinion on what we think will work best. All of our designers have years of experience in the design of conservatories, our design service is a completely free service with no obligation to buy. We will make the design process as simple as possible for you and will only start work on your project when you are completely satisfied with what we have designed for you. During the design process we will determine what kind of base would be more suitable for your conservatory to be built on; a site survey will be carried out to confirm what is needed by one of our structural engineers. 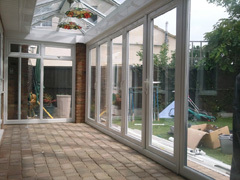 If your conservatory needs brickwork then we will match the new bricks to that of the original ones used on your house. 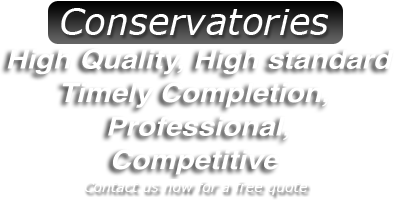 At Essex Conservatories our aim is for your new conservatory or orangery to harmonise with the existing surroundings and structure of your home, by designing this for you first you will the opportunity to make any amendments you feel is needed. At Essex Conservatories we have a range of high quality materials for you to choose from for your conservatory such as UPVC, hardwood, masonry and aluminium. It really is up to you to choose what you feel would compliment the style you have in mind. It is important to note that your budget will also have a bearing on your choice, hardwood for example costs more that UPVC, however UPVC is almost maintenance free and weather resistant. Aluminium is a good choice of material to give you a contemporary look and feel and one which will give your structure integrity. We are also able to supply our conservatories in a wide range of colours; there are many more colours available to customers other than ever before, we would be happy to show a full colour range. Our conservatories come complete with high quality locks and locking systems, this gives you complete peace of mind that your property is protected at all times.